Medicine and Surgery of Camelids, Third Edition offers a long-awaited update to the classic comprehensive reference on llamas, alpacas, vicunas, guanacos, and camels. With information on topics ranging from nutrition and management to infectious diseases and emergency care, the book provides essential information on the health and maintenance of these species. Now with expanded information on camels, the Third Edition maintains its reputation as the premier text on these popular species, with significant updates to the parentage verification, infectious diseases, anesthesia, restraint, and nutrition sections and additional information on the alpaca genome. Including new color photographs throughout, the new edition retains its logical organization, beginning with the basics of camelid care and moving into specific information divided by body system. Information on toxicology and emergency management is also included. 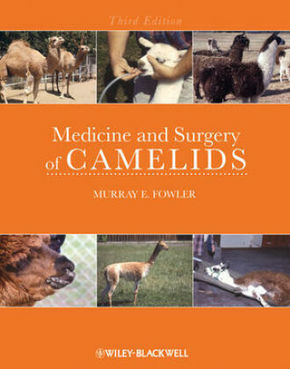 Medicine and Surgery of Camelids, Third Edition, is an essential resource for practicing veterinarians, zoo veterinarians, researchers, and veterinary students.